Have you been told that you aren’t a good candidate for contact lenses because of the shape of your cornea or because your eyes are too dry? It can be disappointing to learn that you won’t be able to wear contacts for vision correction. But, you might consider talking with another optometrist for a second opinion. 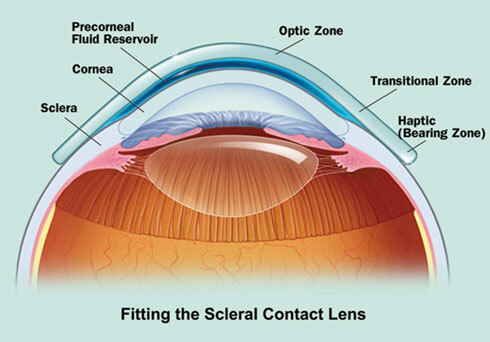 Scleral lenses are a great option that might work for your eyes.